What type of site do I want to build? The kind of site you want to build will play a big role in which provider you eventually pick to host it. If you're just looking to promote yourself--that is, you want a page to describe you, your family, and maybe Ralph the dog--a low-end hosting provider will be more than adequate. If you're trying to promote a business, you'll need to move up the ladder. And if you want to conduct business transactions--selling items online or letting your customers access account information--you'll want the best services your money can buy. Here are the pluses and minuses for each type of site. A home on the Web can be yours for as little as $5 per month--even less if you don't mind banner ads. For $10 to $15 per month, you can live like a king, with your own domain name and multiple e-mail accounts. Simple tools and templates available online make it easy to create your pages--just add text and pictures, then stir. Move up the scale to a shared host and your design choices expand, but so do the skill requirements, starting with a working knowledge of HTML. Personal sites typically come with 25MB to 50MB of space for stashing files. That's more than enough if your site contains mostly text and small JPEG images, but it's far too little if you hope to post lots of large graphics or stream video from your last vacation. Some sites serve up a few megabytes of e-mail storage, others do not. Most personal sites don't come with a lot of disk space or bandwidth, and generally, you won't need it for a personal page. If you hope to build a popular site--remember Mahir's ikissyou site?--you may run have to pay more for the privilege of sharing your thoughts with the masses. At the base level, you'll likely get tech support via e-mail support only, but don't expect an instant response. Pay a little more, and you can wait on hold for a techie. But with a personal site, support and reliability are less essential; if your site is unavailable for a day or two, it's annoying but not fatal. Informational or brochureware sites are fairly simple to manage and maintain, so even a large one won't necessarily cost a lot of money. Small businesses can get a sizable site for $20 per month. In most cases, you'll need room for stashing multiple pages and the ability to handle a higher number of hits than a personal site would require. The more information--words, images, sound files, or video--you ask visitors to download, the more disk space and bandwidth you'll need to buy. You want multiple e-mail accounts so that everyone in your organization can receive messages at your domain (for example, tomsmith@mygreatbusiness.com). You'll also want visitors to contact you, so the ability to handle Web forms is essential. Many brochureware sites don't change much from day to day. So while making backup copies of the site is still essential, your host doesn't necessarily need to do it every day--weekly backups are sufficient for many sites. Some hosts include a regular backup as part of the package; others offer it as an extra-cost option. Nobody wants a hacker to deface their home pages or a spammer to hijack their mail servers--security is important. But it's less essential here than it is for e-commerce sites that need to protect their customer's credit card information or bank balances. If you're using a shared or managed host, ask what they're doing to protect your site. If you're managing your own server, the onus is on you. You should demand nothing less than live 24/7 support. But the quality of help you get varies widely from vendor to vendor. For example, some resellers offer basic support but will pass you off to their hosting firm when your problems get sticky. Ask who provides support at every level before you buy. If you're doing business over the Web, you generally need to pay for the privilege. Small shops, especially online arms of brick-and-mortar establishments, can get away with simple shared-hosting solutions. But if e-commerce is your organization's lifeline, you'll want the best hosting solution you can afford. That can cost from as low as $100 per month for a single unmanaged server to tens of thousands of dollars for a geographically distributed online merchant. Transactional sites are usually high-traffic sites, so be prepared to pay more for bandwidth. And the size of your catalog will determine the amount of storage you need. The general rule of thumb is to buy more than you need right now but not too much more. If space becomes tight, you can generally upgrade your hosting plan to a bigger package. Most hosts offer help placing online ads, boosting search engine results, and sending e-mail newsletters to drive traffic to your site. Your customers need to know that a hacker won't hoover up their personal information, and you need to know that the worm du jour won't take down your site. A host must provide external services, such as SSL certificates, and a robust internal security net with high-end virus scanning, firewall, and intrusion detection. For e-commerce sites, downtime can be deadly, so make sure you have redundant systems in different locations. 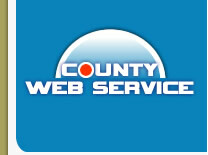 If your Web server in Los Angeles goes down, the one in Chicago can pick up the slack. You also want to make sure your host has built-in redundancy--multiple high-speed Net connections and power generators, at least. Dynamic, database-driven sites, such as online catalogs, change virtually by the moment. You'll want backup options that are as close to real time as possible. If you're paying for a high-end shared or managed dedicated host, you should expect immediate, 24/7 personalized service, the kind you'd get if the techies worked for you directly.